A nation’s food culture evolves over time, the result of climate, local trade, religion, war, and most of all, immigration. 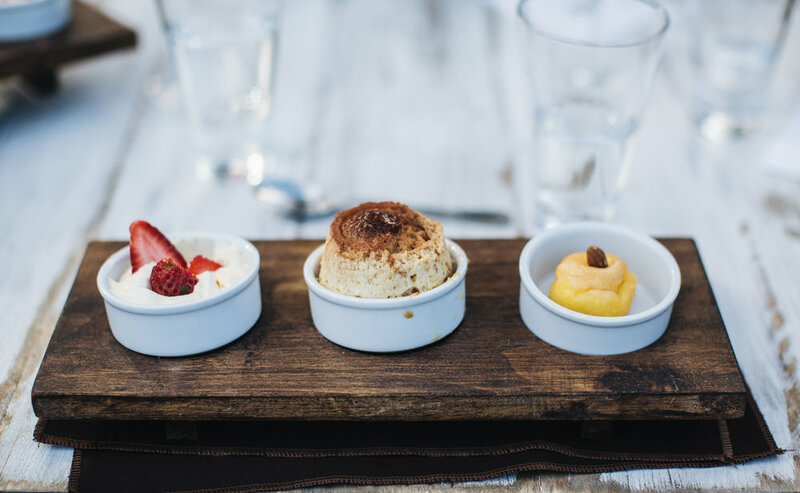 In Argentina, the vibrant, sprawling South American nation with its diverse landscape of the majestic Andes mountains, glacial lakes, and desert, the country’s immigrant history has given birth to a rich and lively food culture, abundant in European tradition. In particular, there is an undeniable Italian character that adds a Mediterranean flavour to both the food and its people. 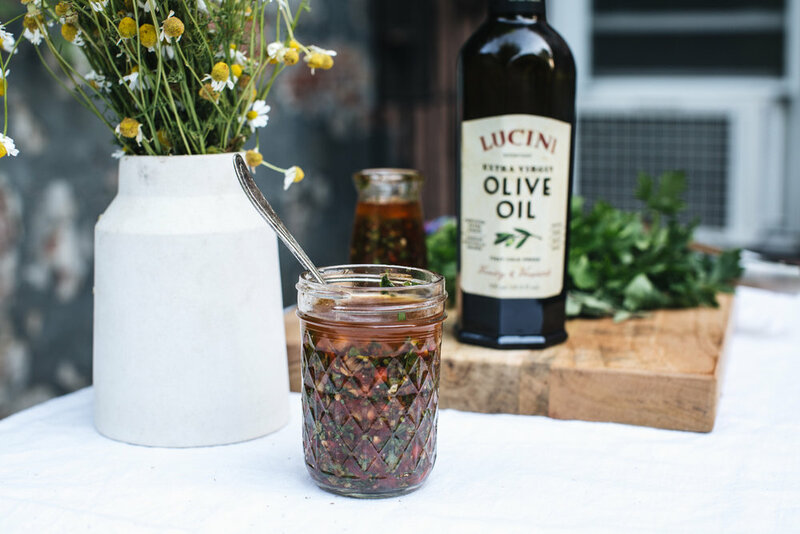 In Argentina, California-based, Italian-inspired olive oil maker Lucini Italia is helping to keep Italian traditions alive with olive oil. In each bottle of their Everyday Extra Virgin Olive Oil, there are rich layers of history and tradition, of hard work and dedication, of old world techniques married with modern innovation. As one of Lucini Italia’s current brand ambassadors, I am visiting Mendoza, Argentina to see the end of this year’s olive harvest. The season is short, just two months, from May until June. Mendoza, world famous for its Malbec wines and high-altitude vineyards, is also home to rolling ancient olive farms. In Maipú, located in southeast Mendoza, the Perez family is harvesting the last of their Frantoia olives, an Italian varietal, from 100 year old trees. 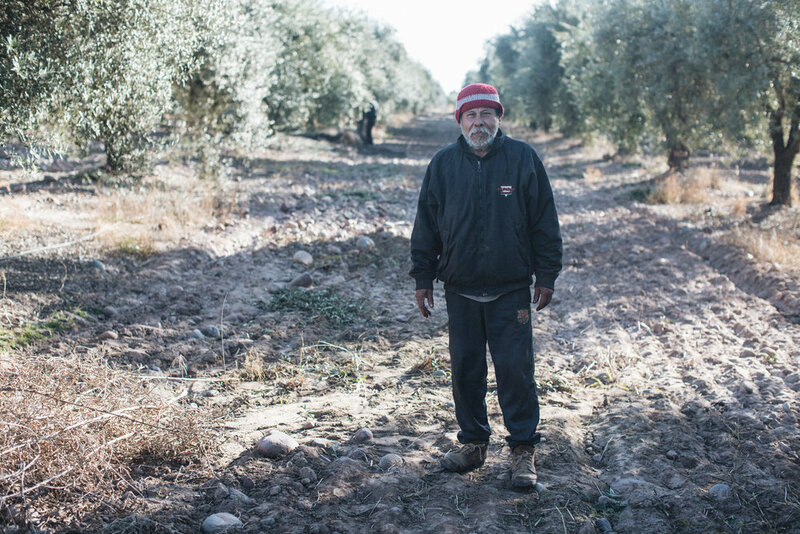 Migrant workers travel from Columbia for the olive harvest and stay for the season. 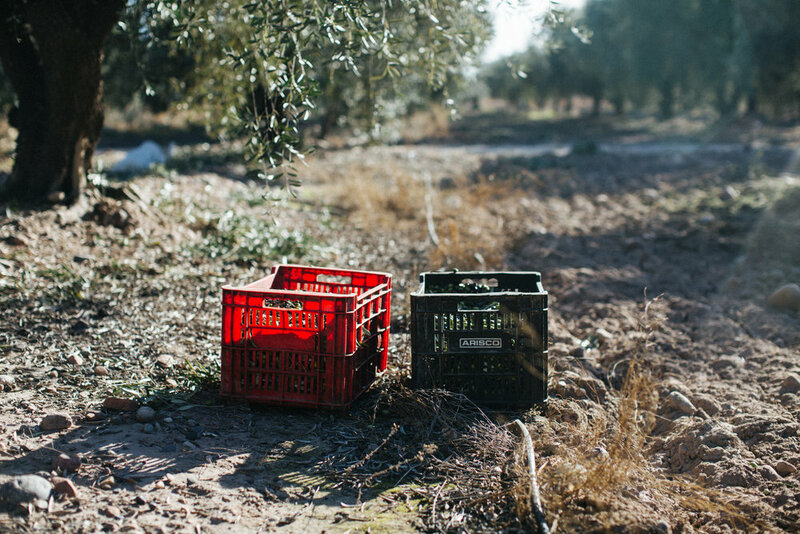 Here at the Perez family farm, all the olives are ‘hand-picked’ – the harvesters climb homemade ladders (fittingly constructed of olive branches) and forcefully smack the branches, the fruit falling to the ground, where they are caught in nets. There is a human touch at every step of this harvesting process, old world techniques, and minimal equipment. Here, the harvest is driven by nothing other than hard work and manual toil. It is humbling to think of the grind that goes into every bottle of oil. If the Perez family’s plantation is all old school hard work and tradition, over at Olivaterra in San Juan province, it is all about innovation and pioneering the future of olive growing in Mendoza. In a previously untapped area of the Andean foothills, Horacio Peroni, Alejandro Vaugdana and Francisco Diaz use their agricultural knowledge and engineering backgrounds to approach olive growing in a scientific way. Founded in 2008, Olivaterra is part of an impressive olive tree plantation spanning 800 hectares. There are a staggering 700 trees per hectare. Olivaterra’s harvest begins in April and the work is done by their impressive machine harvester, rightfully named Colossus. During our visit, we witnessed the sheer force of Colossus, as it methodically stripped trees of their fruit, tree by tree, row by row. The olives are milled fresh onsite, at Olivaterra’s own processing mill which was built in 2017, a facility they share with neighboring olive farmers. Understandably, the machine is faster and cheaper than picking olives by hand, but quality also comes into consideration - with machine harvesting, the olives never touch the ground so there is less bruised fruit. Olivaterra’s owners, along with their neighboring olive ranch owners, are a highly educated, dynamic group. Many of them are not farmers at all, but former engineers, or authors (or sometimes both), city slickers who relocate from cosmopolitan Rosario or Cordoba for the harvest season. The ranch owners, mostly of Italian ancestry, are colleagues, but also friends. They drink wine, laugh constantly and poke fun at one another. It is clear that, despite the high-tech feel of the processing plant, at the heart of Olivaterra is a strong sense of friendship and family, not dissimilar to the artisanal, old world Perez Family Farm. Each bottle of Lucini Italia Everyday Extra Virgin Olive Oil contains more than just an exceptionally smooth, fresh tasting everyday olive oil – it also holds a strong story of the vibrant Italian-inspired culture found in Argentina, of craftsmanship, modernity, friendship, and most of all, family. Inspired by my recent visit to Mendoza with Lucini Italia, I’m bringing you a bright vegetable dish, that can be adapted to the seasons. Argentina is the land of asado (meat cooked over fire), but I found inspiration everywhere in their cooking techniques and the hyper-fresh farm grown vegetables. 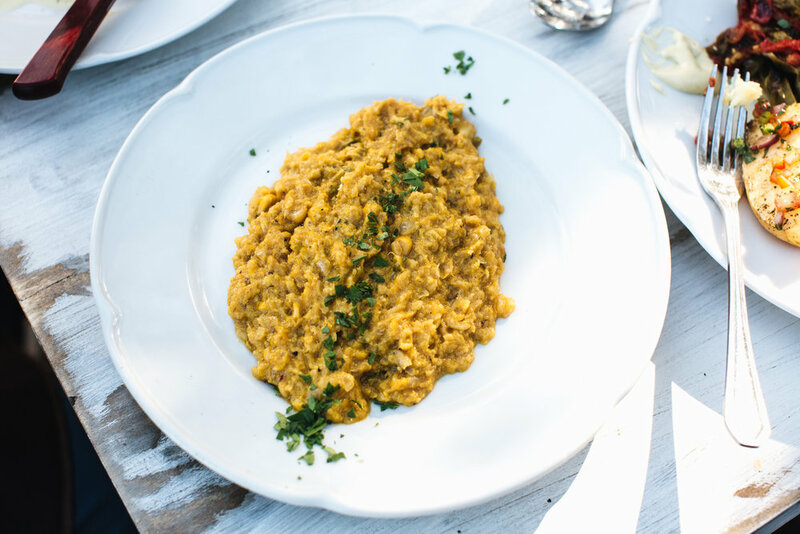 At Francis Mallman’s famous 1884 Restaurante, potatoes, carrots, sweet potato, onions and beets were cooked over fire, resulting in the most smoky vegetables imaginable. Tables were always brimming with roasted or stewed peppers, charred eggplant, tomato salads laced with red onion or scallions, grilled pumpkin, fennel and zucchini, and roasted quince. There were some lavish vegetarian meals – pumpkin malfati, an Italian-inspired rustic dish of large misshaped dumplings, very similar to gnocchi, billowing balls of burrata smothered in saffron oil, silky smooth beet puree and the crispiest fingers of potatoes, doused in chimichurri. This recipe for grilled seasonal vegetables with burrata and chimichurri is inspired by a similar platter at Casa de Uco, and the chimichurri served at our al fresco lunch amongst Olivaterra’s olive groves. Argentine chimichurri is a world away from most of the chimichurri sauces I’ve ever tried. It is more chunky, heavier in garlic, and without much spicy heat (though I have added some spice to my recipe below). This recipe is quite salty, which makes it perfect for slathering onto grilled veggies or roast potatoes. Or try stirring it into cream cheese, mascarpone or ricotta for a flavourful dip, as they did at winery and restaurant El Enemigo. To make the chimichurri, toss together the shallot, parsley, oregano, garlic, chili, tomato, and red pepper (capsicum) - stir until well mixed. Add in both paprikas, salt, pepper, red wine vinegar, olive oil and water. Stir well. Use immediately or refrigerate to allow flavours to blend. This sauce can me made 3 days ahead – store in the fridge. Heat your barbecue to high and heat for 10 minutes. Prepare your vegetables by washing and trimming. If you are using root vegetables like sweet potato, beetroot, carrots or sweet potato, prick them with a fork, season with sea salt and black pepper, drizzle with olive oil and wrap them in a few layers of foil. Place the foiled packages directly on barbecue and close the lid – cook on medium for 10-20 minutes, depending upon the size of your vegetables. Turn the package every now and then to prevent burning. Working in batches, add your softer vegetables (eg, asparagus, peppers, eggplant, zucchini, kale) directly to the barbecue, and let them char. Turn and char on all sides. To serve, lay our charred vegetables on a large serving board or plate. Add your burrata, a wedge of lemon, and then generously slather over your chimichurri sauce.